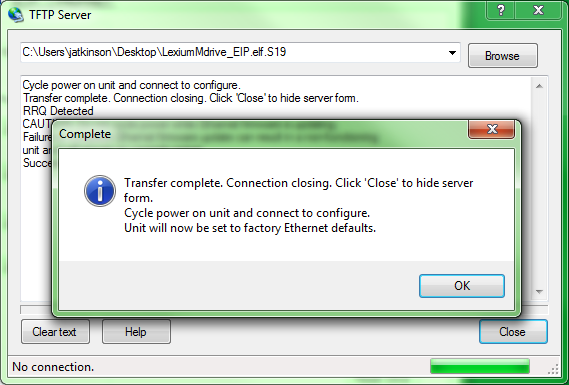 Lexium MDrive Ethernet TCP/IP (LMDxE) all sizes, all variants. 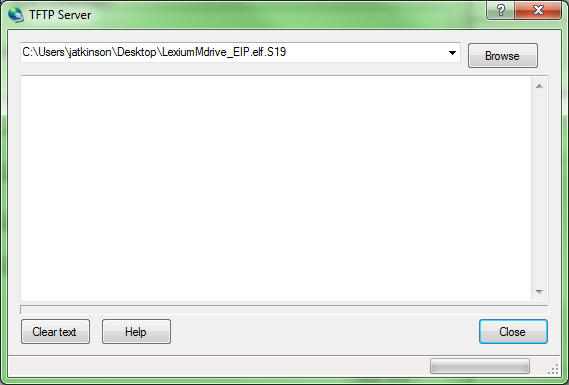 In order to recover the MDrive or LMD from this state you will need to enable your “Telnet Client” on your computer. By default, with Windows based systems, this client is disabled. 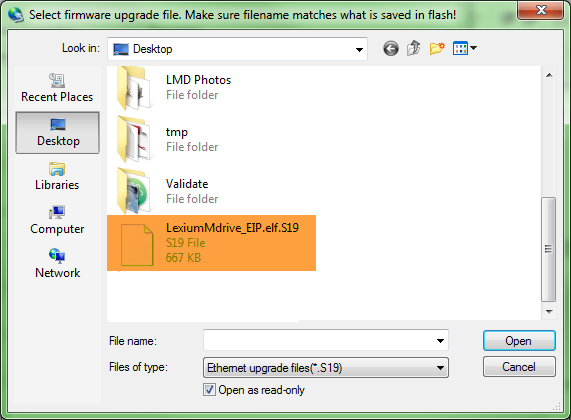 When upgrading Ethernet or Drive firmware with an MDrive or LMD motor, you must have your computer’s Local Area Connection Properties set properly in order to complete the upgrade. 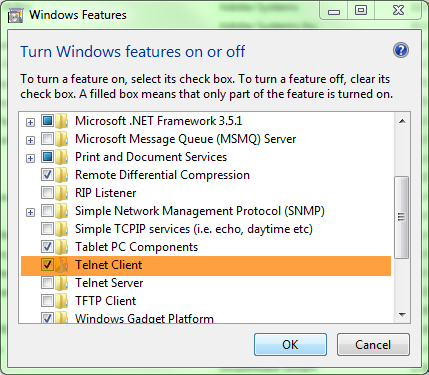 In order to recover the MDrive or LMD from its faulted mode you must first launch the recently enabled Telnet Client by going to the Windows “Start” icon and typing “Telnet” into the command prompt. 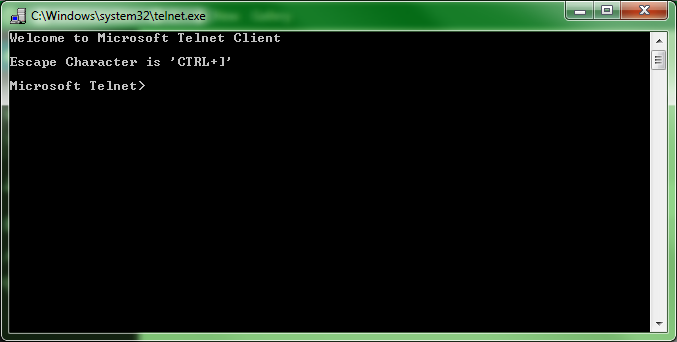 Once you have typed Telnet, you should see a “Telnet” program in the “Programs” section. 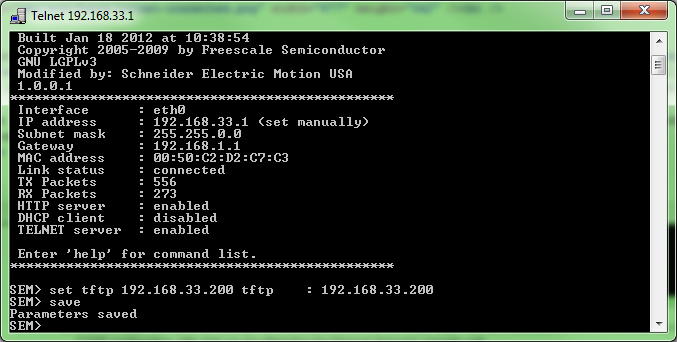 After the telnet prompt enter: open 192.168.33.1 then press the “Enter” key. After the SEM> prompt enter: set tftp 192.168.33.200 then press the “Enter” key. 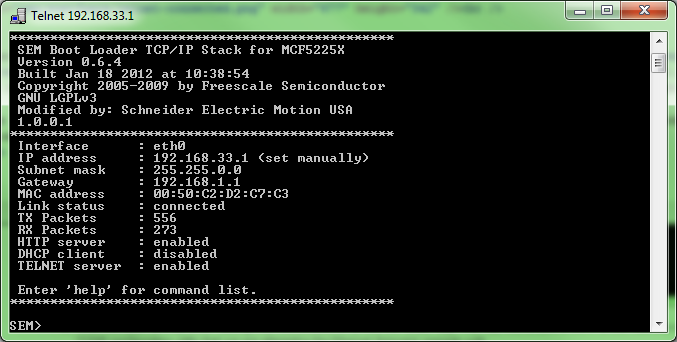 The 192.168.33.200 is the IP of the machine running the TCP/IP configuration utility that we are attempting the Ethernet firmware upgrade with. Do not close the Telnet Client window; we will be using it further shortly. 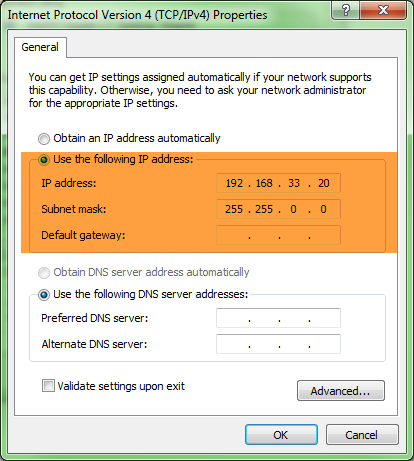 Insure that the previous TCP/IP configuration utility session had been closed and then open a fresh instance of the TCP/IP configuration utility. 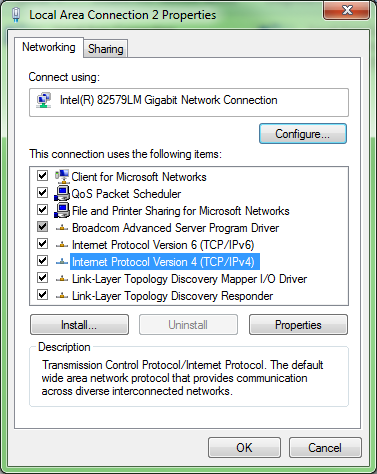 Once the file has been selected, you now will return to the TFTP Server window. Follow the instructions on the screen upgrade complete dialog by cycling power to the drive to allow the power to completely drain from the drive before reapplying. 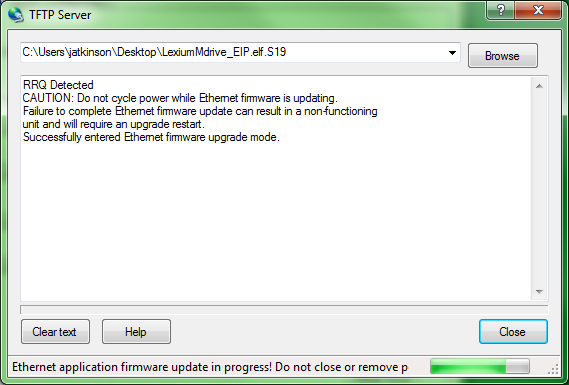 The firmware upgrade is now complete and the drive is ready for IP address and EIP configuration settings changes per your application. Figure 13: Upgrade process complete! You may also now close the Telnet Client on your desktop..